In this activity we set up our retirement savings..and automate them (activity 6) I think it's really apt on the tail of yesterday's post about my grandmother in retirement and the post we did about a week ago or so on Level 3, Activity 1 (calculating our personal savings rate). I'm still comfortable with where my savings are at, but I do think we need to bump Jordan's. 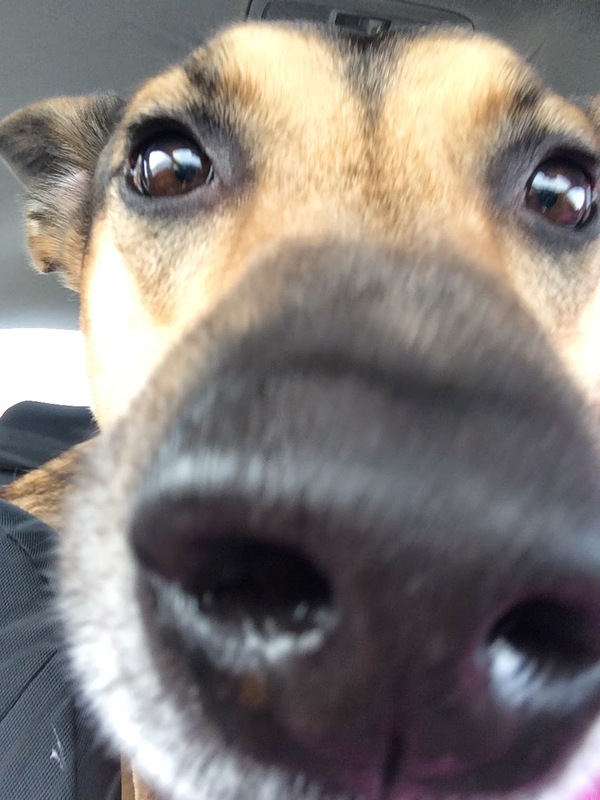 We've decided to go ahead and increase his contributions by $100/month as that will take him in to the 12% savings rate range instead of the 9% range. For now, we made the bump to his regular RRSP instead of his streetwise account - we wan to keep on eye on how things play out now that ING Direct is Tangerine. Not including the 10% I save for my pension (5% me, 5% my company) and the shares I purchase ($100/month) - this brings Jordan's savings up to $400/month and mine stay at $100/month. We've been adding $100/month to our emergency fund, and are also still saving $200/month to our baby fund (that's in my TSFA). A few weeks ago, Gail wrote how important it is for people to identify what is really and truly important to them. She mentioned that Canadian's living on government assistance may have as little as $16,000/year or less to live on. Well, I would like to share with you a real example of this - my grandmother. 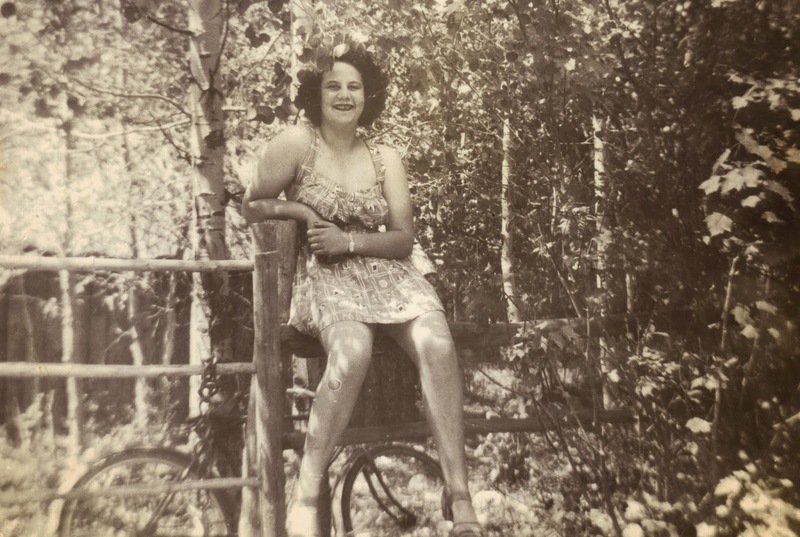 Born in 1929, she grew up on a farm in Alberta before her and her family moved to beautiful British Columbia where they had their own homestead. At 19 she married my grandfather, 10 years older than her who was just back from WW2. He became a game/wildlife trapper and she a housewife. They had two children together and raised them on the farm that her parents had started. My grandfather passed away in 2001 at 81 years old - they were both still living at their homestead at that time, living on government assistance - that to be honest, I don't know if any of us really knew how much they had...but at least they both had it. Now, my grandmother is 85 and dementia has been slowly taking it's grip of her. She did not have an inheritance from her parents, her and my grandfather had perhaps a few thousand dollars saved away in the bank. My grandmother had never worked outside the home, never contributed to CPP...she never even had a driver's license (not for a lack of driving). So, she has government assistance....but what is that, how much does she get as an elderly person in BC? The grand total comes to $16,781, hit Gail's number right on the mark...so what can she afford with that? How much does it cost to live now? Well, my grandmother lives in a assisted living home in BC. The rates are regulated by the province, and there are no other choices if we want her to be close to home - they are the only option in my small home town. Here's a bit of a summary - after rent, medical care and clothing (she starting to need adaptive wear, so she's buying one or two new pieces a month) - she's got about $100 left a month. You don't see a phone here, cable, gifts, emergencies, entertainment..no books....you see the bare bone basics to live. You also don't see much flexibility for saving - which she does, we bank whatever's left over for her so that when she does need something extra - and not extra in the way we might think of it - she can afford it. The last 'extra' for example, was a $915 wheelchair cushion. And what if she didn't have dementia...it would be no different; other than she would know that she was missing out on buying gifts at Christmas for her children, grand-children, great-grand children...that she would know it takes a year to save for a new part for her wheelchair. There are no outings, no extras, no treats. My grandmother is my inspiration to work hard, save hard. To drive myself in my career so that I can live a good life now without sacrificing my life tomorrow. Oops! This week is a bit of a mess. It carried over from last week, with lots of preparing for camping this season. I got a bit twisted with what spending was for vacation and what spending was for our day-to-day, but we went over! We ate out when we still had the money, but then we needed groceries and gas...more gas then expected b/c of all the vehicle trouble we've had, I kept driving different ones into the city and Jordan was driving my mom's pickup some...and it's a big 1/2 tonne diesel. I won't give up though, we'll keep tracking and we will get better at this. The fourth activity in level 3 is getting set up on a company pension plan if you're not already on one - thankfully I am but unfortunately, Jordan's company doesn't have one. Mine is a defined contribution (not defined benefit), both I, and my employer contribute 5% of my gross salary including any overtime or bonus'. About a year and a half ago (my four year anniversary), my pension vested which means that no matter where my career takes me - the money in that account is all mine and cannot be clawed back by my employer. I'm not particularly good (read knowledgeable) at investing, but I thought I would share what my pension is invested in (I can make changes to this anytime, but try to only look at it once or twice a year) and what my rate of return is for the different funds. This is through Sunlife and I can choose any plan/fund that they have. What do you think of my asset mix? Would you do anything different? A couple days ago, I wrote about creating the Emergency Fund, today is about automating it. This one is really simple - just set up an automatic savings programme. With a goal of $25,000 it's going to take us a loooonng time - but we'll never get there, if we don't get going. For those of you that were with us a few months back when Jordan took his new job, we didn't have the cash flow to keep our emergency fund automated - now that his job is changing to a higher guarantee we can look at this again..
...but how much should we automate, and how much do we keep flexible for our debt snowflakes? I'm going to start with 100/month and see how that feels. How much do you put towards your emergency fund every month? Check out the My Money, My Choices program by clicking here. There's just no point unless the dogs get a bit of a refresher too! A week ago or so I shared that Jordan and I found a vet and got the pups vaccinations all up to date. On Monday, they had a date at doggy day-care and the groomers (one place). They've never been to that particular groomer or kennel before - and it was only an extra $10 to stay the day...that makes sense for us, so neither Jordan or I had to take a day off of work, plus the dogs got to know the place so if they ever have to stay a weekend it will be familiar. We were quoted $45-60 for Baxter and $75-$100 for Aries - and it turned out to be at the lower end of the scale for each one. The total wound up being $147 after the daycare fees and taxes. They were also totally tired! They lounged in the living room all evening, sooo nice! Needing new tires is not an emergency. Nor is a new roof, that replacement hockey stick or a vacation. 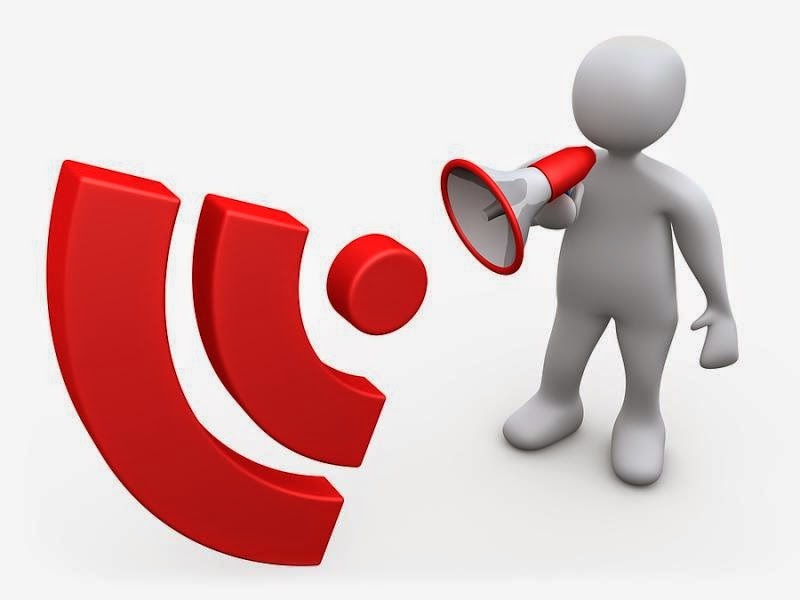 An emergency is a loss of income due to illness, layoff, or death. Stash the equivalent of six months’ worth of essential expenses for an emergency. Without an emergency fund, you’ll blow through your savings; you may even have to liquidate investments at a most inopportune time. Jordan and I have definitely used our Emergency Fund for things that weren't included in this list...but not for home improvement, or a hockey stick. We did use it when we had a tire punctured b/c we weren't planning on purchasing them yet, and we have used it for travel expenses for family emergencies (family in hospital)...do you think those things count? Gail says we should have six month's worth of essential expenses...so what's essential? I cut everything that I could (internet, cable ect.) that didn't have a cancellation fee (cell phones) and found out what my minimum payment would be on the mortgage and we're left with $4,347. This includes shopping our monthly spending down to $800 - no more eating out, entertainment or alcohol...just gas and groceries. So...is what we have gonna cut it? Not so much...but this activity was just about creating the fund, not about reaching the goal so I'll check this one as complete. This activity takes us through calculating our personal savings rate. Gail tells us that there is basically two different types of savings. The personal savings rate, is the rate we're saving for number one...for retirement. 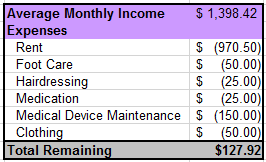 Here is the break down for Jordan and I - combined our savings rate is 14.83% which is great for being late 20s/ early 30s - but there's a pretty big disparity between Jordan and myself. Now...women live longer. That's a fact. So I'm comfortable that we're saving more for me; and we'll probably move the shares to Jordan's name when I retire from my company and they need to be put in a tax/shelter of some kind; however - I'm not sure that 10.5% is appropriate. A part of the decision for the RRSP contributions were based on our expectation that Jordan's salary would have some significant variability, and it was what we could afford based on his baes ($30K); but now that his salary guarantee won't be going down, we can look at this again. If we increase Jordan's retirement savings, by just $100/month - that brings him up to 12.50% and our combined total to 16.21%...not to shabby. Should we increase Jordan's savings by $100, is that enough? 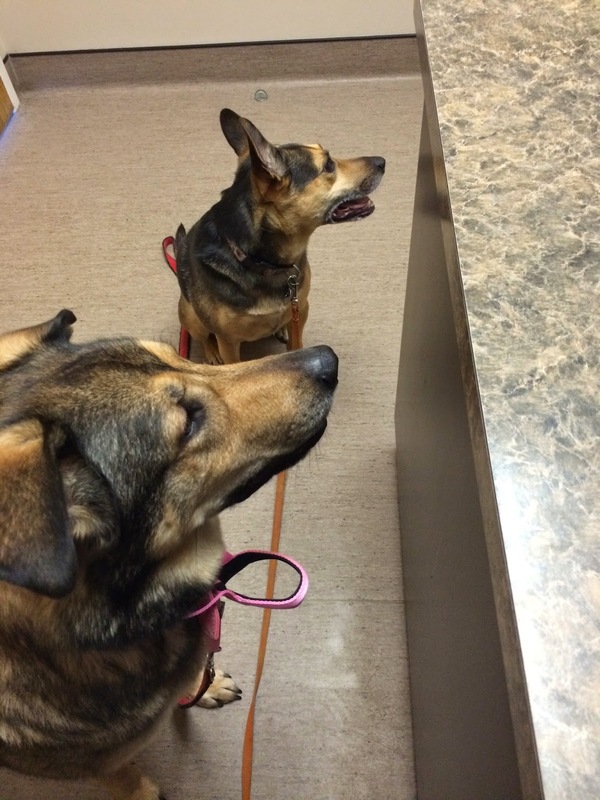 This past Friday I worked from home so I was able to take our pups to the Vet to get their vaccinations up to date. I had never actually taken them to one...never had a need to. I've been wanting to get my ducks in a row for them, so that in case there was ever an emergency they had somewhere that was safe to be and that was familiar - part of that is getting their vaccinations done. I looked at the neighborhood vets (about 4 of them) and compared practices (and price) as well as after hours and emergency care. None of them offered the latter and so we chose to go with a vet about 20 minutes away (in the next city over), but has after-hours care in addition to a great reputation and the lowest prices! It wasn't planned for, but their annual health care visit really ought to be. We got a call back the day after the appointment and they came back all clear - no worms or other parasites! Yay! Healthy puppies...well healthy but a bit porky. They aren't overweight, but they have certainly put on a few winter pounds. 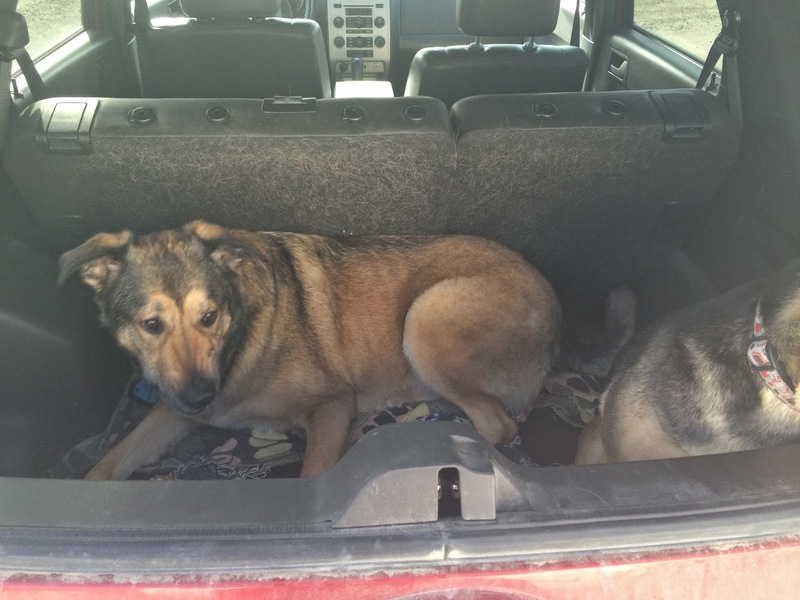 Baxter is up to 22kg (48.50lbs) and Aries is up to 43.4kg (95.7lbs). Apparently I spoke too soon and jinxed it. Jordan's salary guarantee was supposed to stay in effect...but guess what. Someone didn't tell payroll about it, because this morning is pay dropped to $1,029...and no commission from March in site. Crap. Our Escape is back in the shop...ugh! The rear windshield washer motor is gone..we we were able to get the old one off, but the bolts were all rusted out (the damn thing is only 4 years old too), we were going to keep fighting with it; but as we were looking at it we heard a hissing sound...yup, we have a screw in the rear tire too. Seeing as we need to put the summers on, we figured we get them to do the tire repair, but might as well swap the new ones over while they have the car up in the air. The Escape also has a 200 milli-amp parasitic draw on it that we *think* is coming from the automatic start system...200ma isn't much...but after 4 or 5 days of not being used, the car's dead...and we simply need it to be more reliable then that..especially with camping season coming upon us. Last but not least, I figured while it was there we should get them to check the hitch that we had installed last year by uHaul. I've never really liked the look if it, so we're going to get them to have a peak at that too. 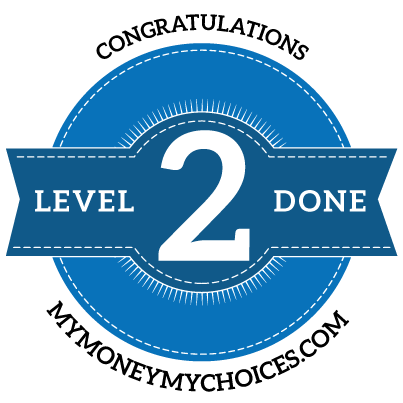 Now that we've got the spending tracking going well, and posting those updates to our spending journal (I'll do monthly posts for those summarizing), I've marked Level 2 Complete! This step doesn't actually ever end, we keep tracking and posting our spending for a long time, but I think it's also important to keep going in the My Money, My Choices program so we don't lose momentum. Back in January, Jordan started a new job much closer to home. His commute was cut from 45 minutes, down to about 7 minutes. It's lowered both our gas and insurance bills and has immensely improved his job satisfaction. He was put on a salary guarantee for the first three months to keep him at his old jobs wage ($54,000), with the intention that he would go down to a base of $30,000 plus commission starting in April. But....he's impressed them so much, that a promotion is in the works. They will be keeping him at his current wage for the next month or two, until they get the details of the new job sorted out. He'll be managing 4-6 people (currently he manages none) - responsible for their individual performance and the overall performance of their new team. I have no clue what a managerial wage for this new type of position would be in Alberta in the Automotive sector. I've done a lot of research, but I'm coming up empty handed. My gut puts him around $60K, but then there is the commission piece which is a big part of the work they do....so we'll see what they come up with. For now, it means we have a couple months of solid debt-snowflakes! 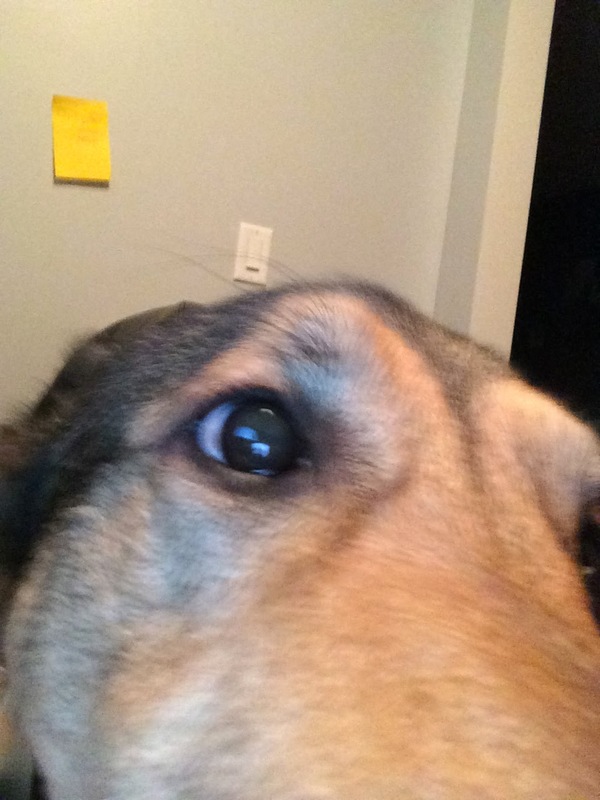 This is Baxter (Handsome) and Aries (Harry)...learning to take selfies. It's my pay day...and my raise went through! After all that, I'm left with $1,834.37/bi-weekly...not too shabby at all. For the second week in a row, Jordan and I have remained committed to the our new Spending Tracker! It is just an amazing, amazing tool. I even spent the $2.99 to upgrade to the pro-version to sync with DropBox and use the export to e-mail feature. Also...for the first time...in a very long time, Jordan and I have come under budget for our two week $600/day-to-day spending budget! I told my mom that last night and she asked how we managed it....well, part of it was Jordan has been away all week for work. So his gas and food are paid for by his company....but still! The other part...discipline. So excited that it's working! We ate out...twice, early in the week. Once was Sunday and around $80 for a steak dinner, then it was like tim horton's for a bagel/coffee one morning. The alcohol was one 15pck of Coors, and two bottles of wine. Gas was just one tank for the car and groceries was just a few tomatoes and other odds and ends to make a salad. Last week, I whined about my spending journal. Yup, whined! A big thank you to Morgaine and Money, NZ Muse, & ND Chic who weighed in with some suggestions on how to tackle this a different way. I've decided to go with ND's suggestion and visited My 1/2 Dozen Daily. 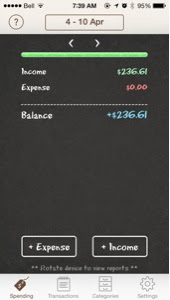 She did a Spending Journal App review a while back and made a recommendation for Spending Tracker. It's only been a week, but I'm already a huge fan! The app she suggested, which happens to be free in the Apple Store is pretty fantastic. You can get the pro-version for $2.99 which let's you link to Dropbox and export your transactions to excel. I haven't done it yet, but I definitely want to use that feature. I'm going to start posting weekly updates on how we're doing staying within our $600/2 weeks on Fridays...starting today! Here's how the first week went using our new tool. The first image was taken yesterday, and the second I took this morning - so you can see how it automatically updates based on some of the settings I chose (carry-over). Items that are normally categorized as groceries such as dog food, cold medicine, and toothpaste are now appropriately tracked. One of the great parts about this app - other than it's super easy, not a notebook and has some cool features is that I can take a screen shot and text it to Jordan! That makes sharing details of our spending with him super simple. He actually said it was the easiest to understand from any other method we have tried. 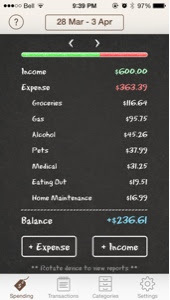 We have $236.61 to last us another week. I would say wish us luck, but perhaps wish us discipline would be more appropriate. ohhh what a month it's been. Probably...not the best month to start the spending journal...or maybe, the best? We started just two weeks ago so this months post combines what receipts we did keep track of plus a reconciliation of our accounts. If you read Friday's post you saw I was feeling a bit exasperated with keeping such detailed track of things - but I was reminded when for the umteenth time I couldn't remember what we bought at Costco that we MUST start keeping better track. So once again, I allocated $150 to groceries when it could have been any damn thing. We also had an....entertaining month if you will. We spent an unusual amount of money in this category. We went to a Flames Hockey Game (tickets were free) and spent $75.50 on food/beverage and parking. We also went to a Philip Phillips Concert ($102, plus a $20 CD), and our Sirius satellite radio subscription renewed ($107). My bestie from BC and her daugher also stayed with us for four days this month so we spent more on eating out then is normal (even for us....we went out 22 freaking times! 22!) and on groceries (or something else at Costco)....so we were bad. I suppose the meals out with my friend could be gifts or entertainment - but it was food in our mouth out of the house, so into the eating out category it goes. But hey! 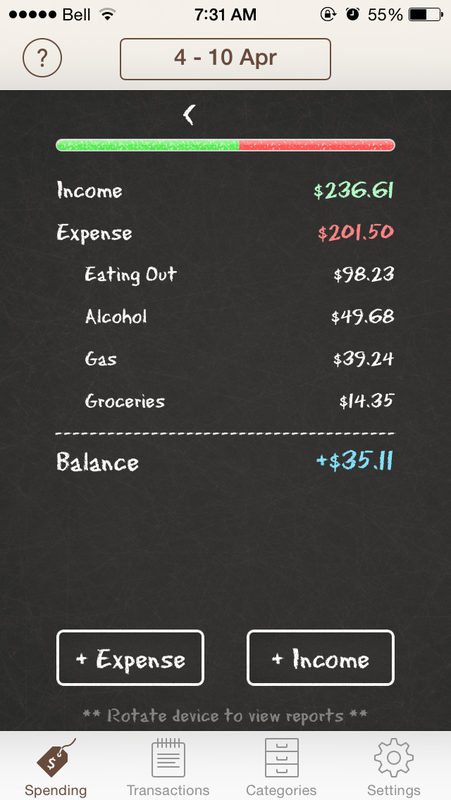 We spent less on alcohol then normal...so that's a good thing. We also made some purchases from our planned spending savings accounts (which I don't know how to track using the spending journal). Jordan has been saving Christmas, Birthday, and Pop-Bottle money for a while now and finally had enough to buy a PlayStation 4...and you know what? He bought a new computer instead! He salvaged what he could from my brother's old tower and monitor (Thanks Brother!) and spent just under $700 on the machine and operating system. Since now he has a computer, and we only have a small office with a small desk we decided it was time to finally get the office set up for two people - that meant a new desk! (we'll be selling the old one). A trip to Ikea, and Home Depot (and I had $40 in gift cards) had us spending just under $500. We had $300+ in the home maintenance fund, so that and some of my own allowance/birthday money is going towards that purchase. Vehicles! Turns out even new ones need to be maintained. My car started vibrating furiously going down the highway at 100km/hr....many hours and a frustrating weekend later we had a bill for $150 for re-balancing the tires. Well, I got a bit of a surprise this past Friday. I was expecting 10-15 hours of overtime being paid out, and instead, due to a clerical error, I'm getting 53.50 hours paid out! This translates to about an extra $1,150 this pay day. This puts a hiccup in vacation plans, but my manager will let me take some unpaid days if I don't earn the hours back (it's likely I will but not a guarantee). So...that means it's time for snowflakes! I'm resisting the urge to move the money now and am going to wait until my first pay in the month and do the sweep then.